Seat Leon SC Running Costs, MPG, Economy, Reliability, Safety | What Car? The Leon SC is competitively priced, and is also routinely offered with good savings off the list price and decent finance deals – although bear in mind that a three-door Golf will hold its value better. Considering the performance offered both the 1.4 EcoTSI 150 and 2.0 TDI 150 offer good emissions and average fuel economy to please private buyers and company users alike. 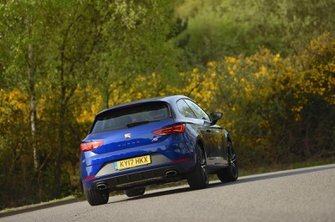 Even the Cupra 300 is relatively efficient by hot-hatch standards. There are just three trims to choose from, and we’d stick with the standard FR Technology trim – it has almost all you’d ever need. 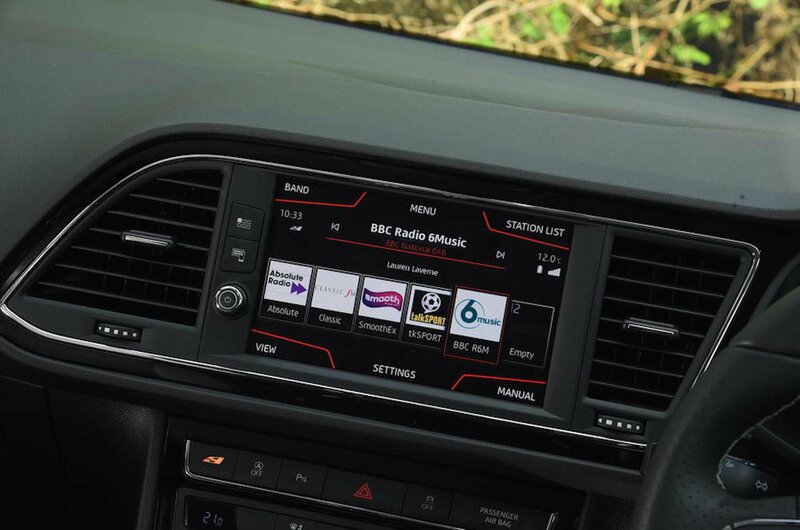 This includes: an 8.0in touchscreen, sat-nav, a DAB radio, Bluetooth, LED headlights, power-folding door mirrors, lumbar adjustment, dual-zone climate control, front and rear parking sensors, auto lights and wipers and sports seats. FR Titanium Technology adds 18in wheels, side skirts and a roof spoiler, while Cupra includes a limited slip differential and adaptive sports suspension. Safety equipment is very good; every model gets seven airbags, stability control, automatic emergency city braking (that reacts to cars as well as pedestrians) and a tyre pressure-monitoring system. There are also active front head restraints to minimise whiplash in an accident, and Isofix child seat mounting points. The Leon has always had a good reputation for reliability. 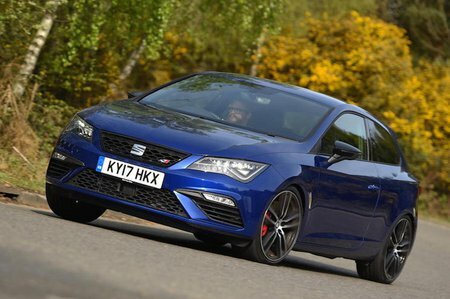 Seat as a brand also bills pretty well, with a creditable mid-table finish in our most recent What Car? reliability survey, above brands including Renault and Volkswagen. Its three-year or 60,000 miles manufacturer’s warranty is nothing special these days, although you can extend the cover for up to five years for a reasonable extra cost.